SKU: PFC. Categories: Party & Event, Linens/Tablecloths, Overlay/Card Table. Tags: bridge table linen, bridge tablecloth, card table linen, card tablecloth, overlay. This overlay tablecloth is great for a card table or as an overlay to add color to virtually any size table! All of our linen comes to you clean and pressed and the only items which could incur additional charges would be wax, burns, holes, or unusual stains. This bistro table measures 30″ across and is 42″ tall, is wood-topped, and is good for 2 to 3 people. 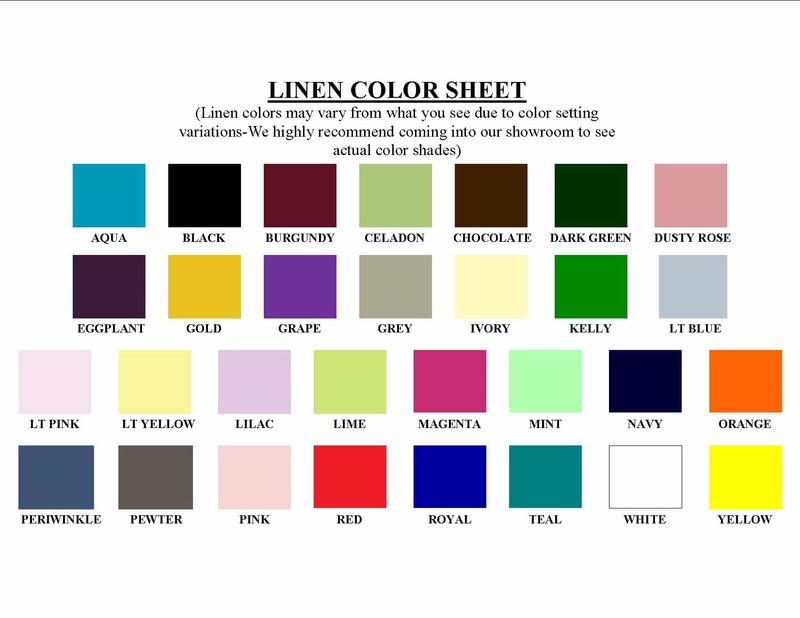 We carry a wide assortment of linens for this table, including standard 60″x60″ bridge or 90″ round for a shorter drop both in a rainbow of colors, or 111″ round to go to the floor available in white or black. This is a heavy-duty, stable, wood-topped card table which will seat 4. It measures 30″ tall x 32″ wide x 32″ deep. Don’t forget a bridge or overlay tablecloth to add a touch of class! This table seats 6 people comfortably. It measures 4′ across x 30″ tall and is wood topped. 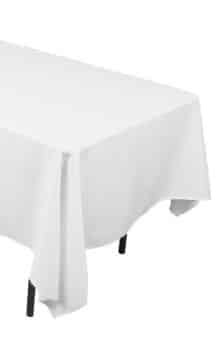 We carry a wide assortment of linens for this table, including standard 90″ round in a rainbow of colors or 106″ round floor length in white. This table seats 10 people comfortably. It measures 6′ across x 30″ tall and is wood topped. We carry a wide assortment of linens for this table, including standard 90″ round in a rainbow of colors or 130″ round floor length in white.